Adobo is a very popular method of cooking in the Philippines. Perhaps, it’s the most popular and most distinguished among all Filipino cuisines, unfortunately, it’s commonly associated with meat. It has simple ingredients and very flexible procedures, so I come up with my own version of vegetarian adobo. You can either cook it right away, or have it marinated and cook the next day. Either way, the result is the same, yummy! 1. Drained and sliced the tofu and deep fry (you can pan fry also), set aside. 2. Slice the lemon and ginger and set aside. 3. In a bowl combine, the soy sauce, lemon juice, bay leaves, salt, pepper and sugar stir well, this will be our adobo sauce. 4. In a hot pot, put the oil and sauté’ the sliced lemon, ginger and about 3 pieces of bay leaves. 5. Stir in the fried tofu, and let it simmer for 2 minutes. 6. Add the adobo sauce,mix well and make sure that the tofu are fully coated with the sauce, simmer for 2 -3 minutes then add the sesame oil. 7. Offer and serve with love 🙂 Hare Krishna! What would it take for a noodle gaga like me? Simple, just dare to cook all those noodle varieties available. From pansit bihon to pansit palabok, Italian spaghetti to Korean jab chae. Heck, even from instant ramen to the unbeatable instant pancit canton, I tried it all and dig it! Come to think of it, I survived my college days by eating instant noodles. Yes, the lazy way of just putting hot water, and viola, you have a hot serving of a hearty noodle. But since I got married, cooking the instant way has to change, or else my husband will disown me,LOL! I’d been eating noodles since time immemorial, in which the amount of noodles I’d eaten could encircle the globe to-and-fro beating Michael Palen, hahahaha! So, this time, I dare myself to cook the famous Pad Thai. I had never cooked Pad Thai, and I always wanted to learn how to do it. At first, I was really intimidated, but after reading some blogs and articles, I conditioned myself not to back out. One of the best blogs that I find very helpful on how to cook Pad Thai for beginners, is Chez Pim’s blog. In there, she thoroughly explained everything up to the last bits and pieces of ingredients, procedures, and even cooking tips. The article is a long read, but trust me, it’s worth your time. When you’re done reading it, I can assure you that you are now fully equipped on how to make your very first and own Pad Thai, just like me (^_^) Good luck on your Pad Thai quest, and soon enough, you’ll forget about take out! Click here at Chez Phim on tutorial on how to cook Pad Thai. 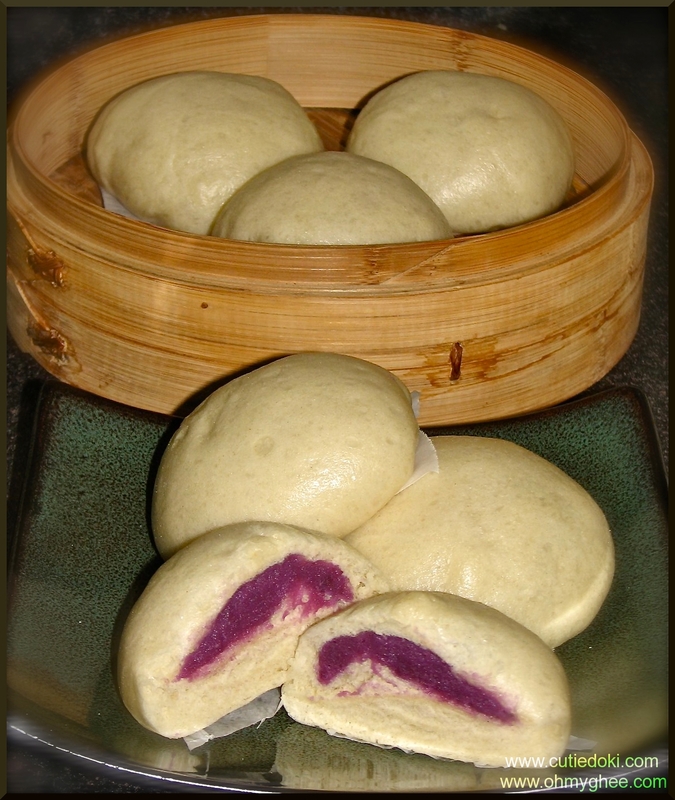 Hmmmm….I miss my sio pao (pronounced as “shopaw”), and for that, I decided to made some. Sio Pao is a famous snack in the Philippines. It’s a good food on the go and very affordable. 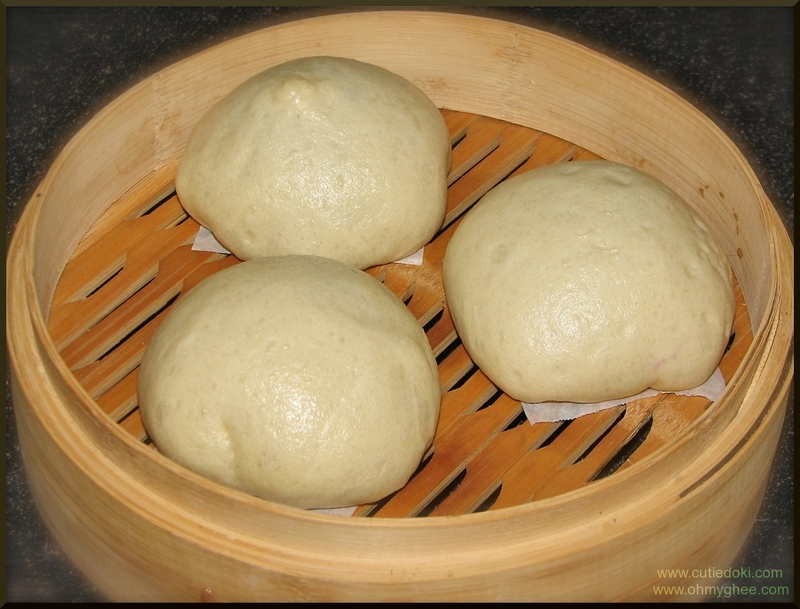 Making sio pao is not complicated at all even for first timers. 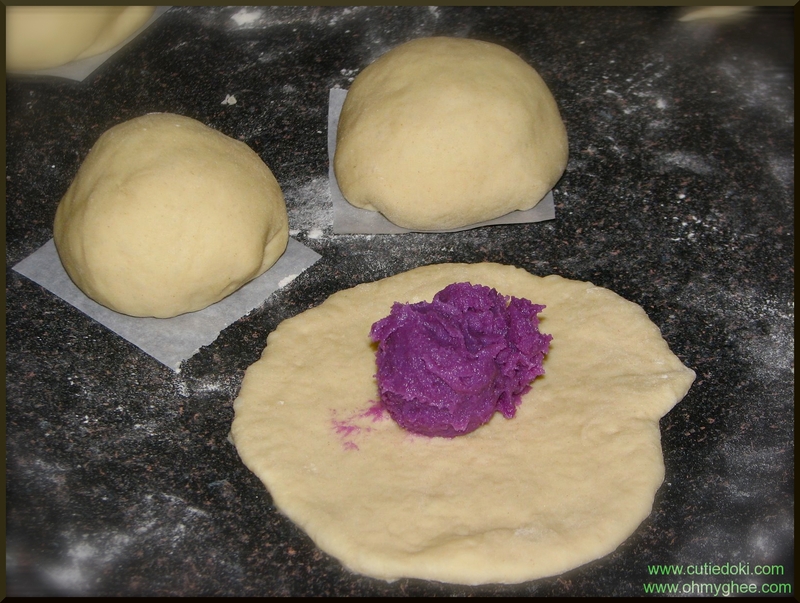 You just need to be time conscious when you’re waiting for the dough to rise, otherwise you’ll over grow the dough, and this can really affect the texture of your dough resulting to a dry and heavy buns. When deciding on what fillings to make for the buns, just feel free to experiment, or I may say, do as you please. 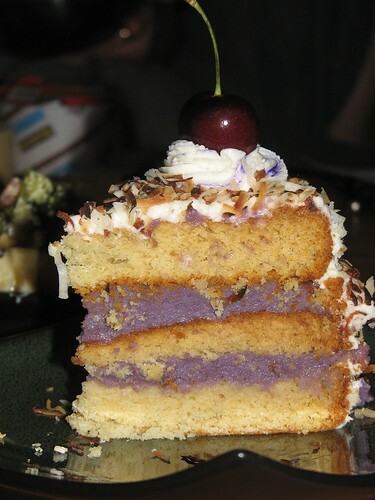 I decided to do a sweet filling which is made of sweet purple yam just because it’s my favorite,lol! For my filling, since I use a powdered purple yam, I just followed the instructions on the packaging. However, for a salty filling, you can use a some scrambled tofu,minced cabbage and carrots. Just stir fry it, add some soy sauce and any spices you like, but make sure that it’s not liquidy to avoid any problems with the dough. 1. Sift the flour and baking powder, then add up the 1/2 cup of sugar and the 3 tbsp of oil. 2. Mix together the yeast and sugar in a lukewarm water and stir until it’s lump free and wait till its bubbly. 3. Pour in the liquid mixture in the flour mixture and mix well. Form into a ball and cover with a damp cloth. 4. Leave the dough to rise for 1 hour or until it doubles its volume. 5. Once the dough arises, punch it in the middle and let it rise again for another 30 minutes. 6. 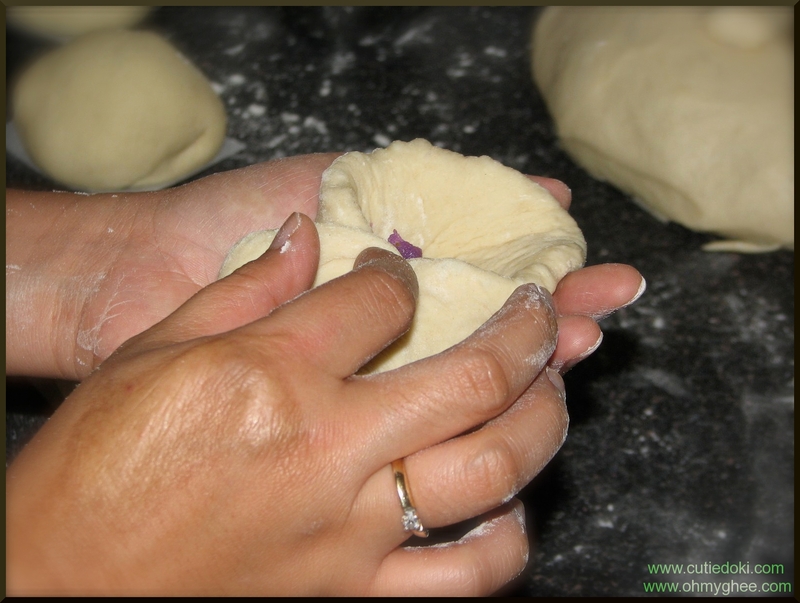 After 30 minutes, knead the dough in a floured surface until it is smooth and not sticky. 7. 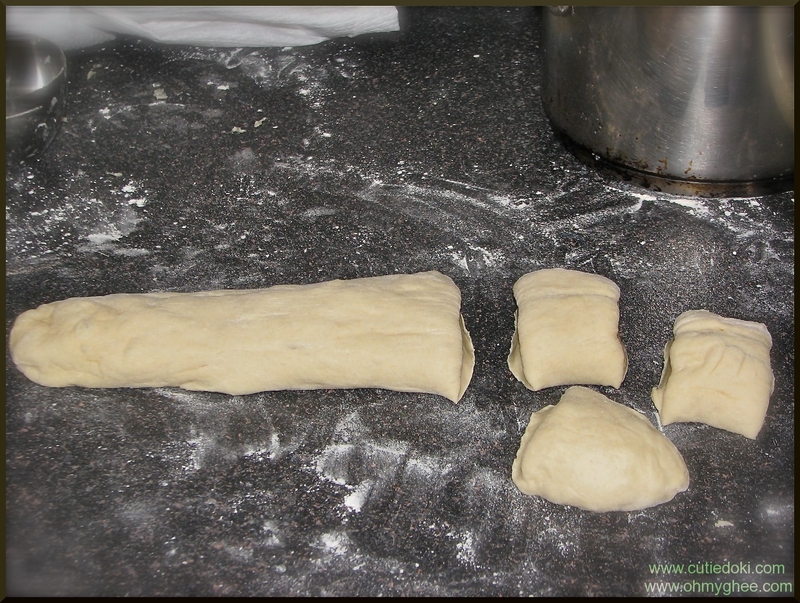 Divide the dough into 2 balls and roll it into a log then cut it into small balls. Note: I weighed my balls into 75 grams each just enough for a regular bun size, and it makes about 14 buns. 8.Flattened the balls into a circle and put the filling into the middle. 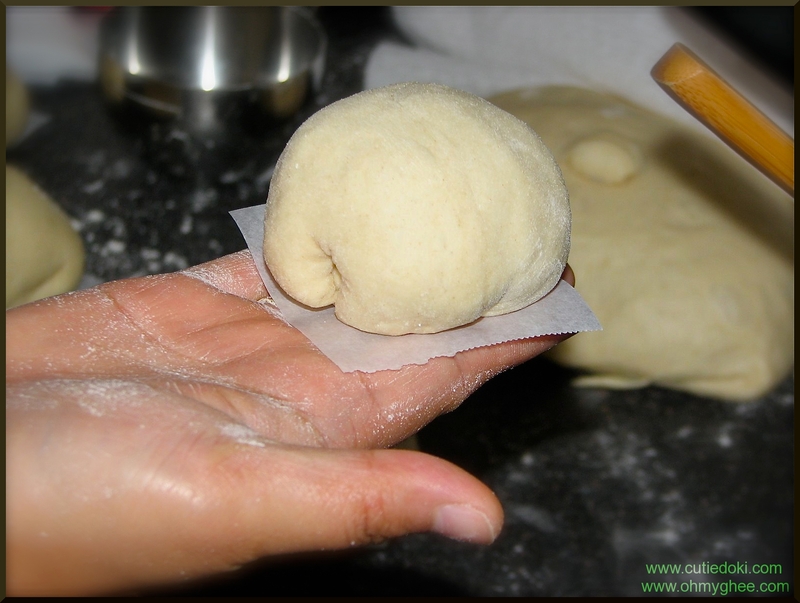 9.Pull the sides of the dough into the center in closing the bun. 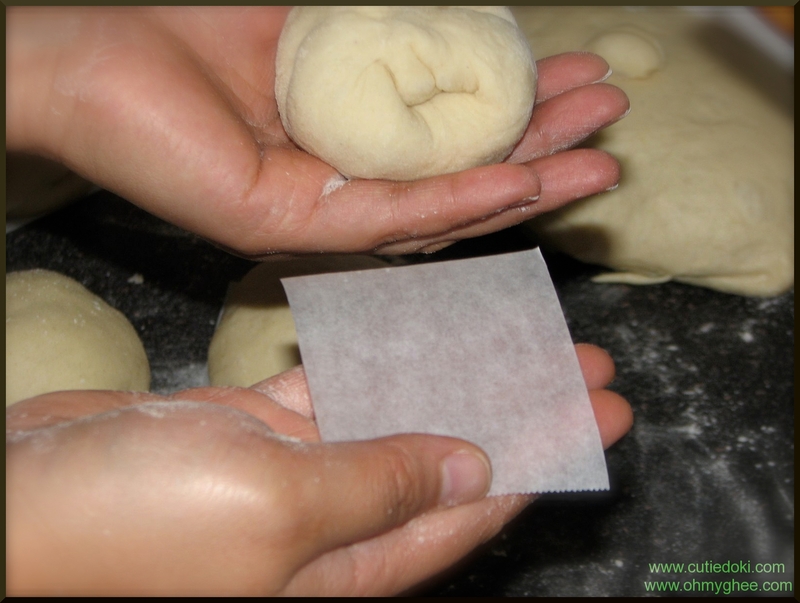 10.Place the bun into a 4″x 5″ square parchment paper and cook in the steamer for 15 minutes. The hubby was so fascinated with this exotic refreshment while we we’re having one of our bon-a-petite dinner in one of Tampa’s famous vegan resto. When we got home, he went straight to our pantry and checked if we have the ingredients. A few minutes later, he started boiling,blanching, and working out the blender. The next day, he continued with his gastric driven enchantment, and viola! His very first home made horchata is ready to satisfy his quench, and of course, I was enjoying it too 🙂 Summer is coming, and I bet you’ll gonna love this Mexican delight. 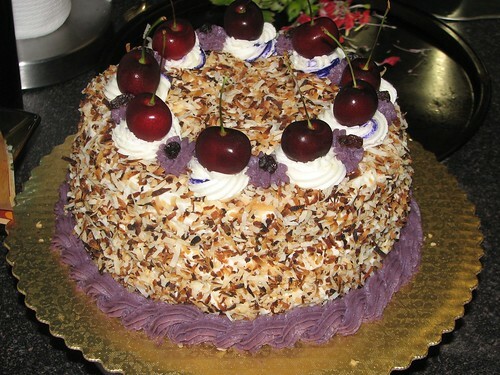 For the recipe and procedures, we got it from gourmetsleuth.com. Place the mixture in the blender jar and blend for at least 3 – 5 minutes until the mixture is smooth and no long has a gritty texture. Add 2 cups of water and blend again for just a few seconds. Place a large sieve over a mixing bowl. Line the sieve with 3 layers of damp cheesecloth. Pour in the rice mixture, a little at a time and keep stirring to help the mixture go through the sieve. Once all the liquid has passed through to the bowl gather the cloth together at the top, give it a twist and squeeze out any additional liquid. Now add 2 more cups of water and stir in as much sugar as you’d like, to taste. If the mixture is too thick, add some additional water. 1. Sift the flour, baking soda and baking powder together. 2. In a mixer, mix sugar,butter,condense milk, and vanilla for 2 mins until mixture becomes fluffy. 3. Add the flour gradually. 4. Pour in the butter milk after all the flour is done. 5. Put in a buttered baking pan and bake for 30-45 mins with 325 degrees F.
As for the purple yam, you can buy them mostly in your nearest Asian stores. Just follow whatever is in the packaging’s directions on how to cook it, and you’re good to go .